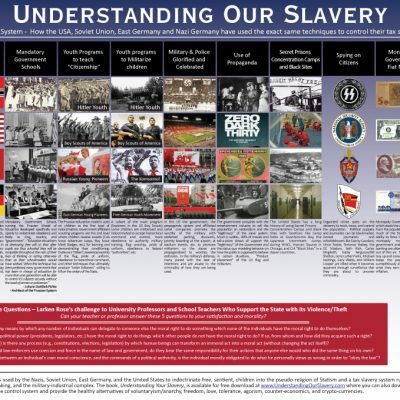 I am pleased to announce that I have just finished a rebranded and expanded edition of Understanding Our Slavery with a new cover, new subtitle, seven new “One-Pagers” which are “executive summaries” of important topics (typically built around a visualization or infographic) but with links to more evidence and authoritative scholarship. 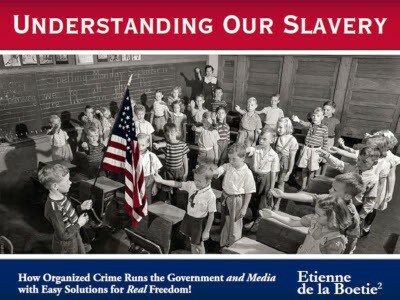 About the New Cover– Most Americans are unaware that the United States created what has become known as the “Heil Hitler”/ Nazi Salute which was used in the mandatory government schools from 1892-1943. 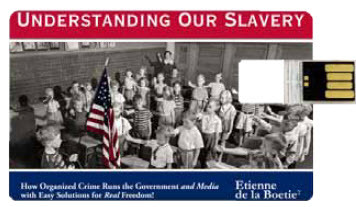 The salute was originally called the Bellamy Salute and it, along with the pledge of allegiance, were media creations of Free Masons (organized crime) running a well-financed magazine targeting kids with propaganda promoting Statism, nationalism, and “military socialism” over significantly more Real Freedom that Americans were enjoying at the time: No income tax, no gov’t monopoly money/inflation, no TSA, no intelligence agency created “terrorists”, etc. 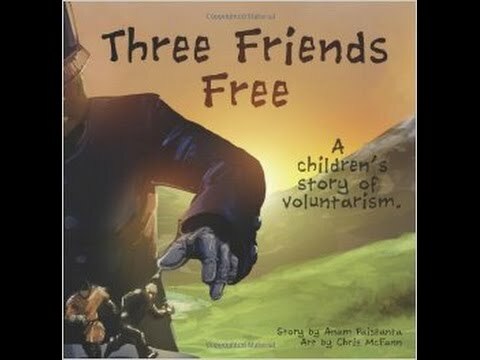 You can download the new version of the book in PDF from the Book page or our Dropbox / Flashdrive of Freedom: The Liberator. Scroll through this update to whet your whistle with a sneak peak at some of the new content, visualizations and infographics that expose organized crime’s control of the government and the media. 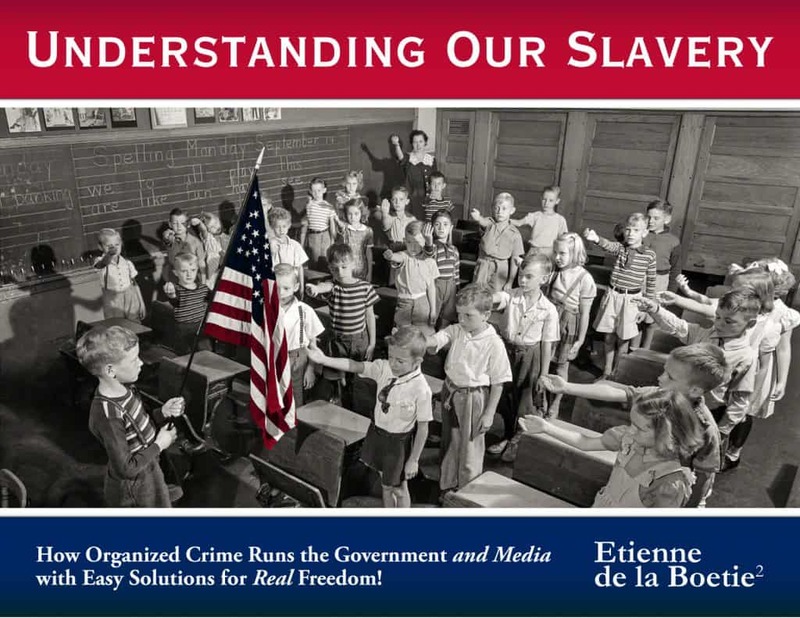 If you are interested in helping us expose organized crime’s #1 tool, the hidden religion of Statism, then there is a new section in the back with some “Easy Solutions for Real Freedom”. As I tell my sons: Resistance is the difference between being enslaved and being a slave! The Propaganda Matrix – Six companies running hundreds of subsidiaries to give the illusion of choice and diversity. In the first edition of the book our “One-Pager” The Propaganda Matrix featured a 2006 media ownership chart (<–Left) breaking down how just six monopoly media companies running hundreds of subsidiaries give the public the illusion of choice and diversity. 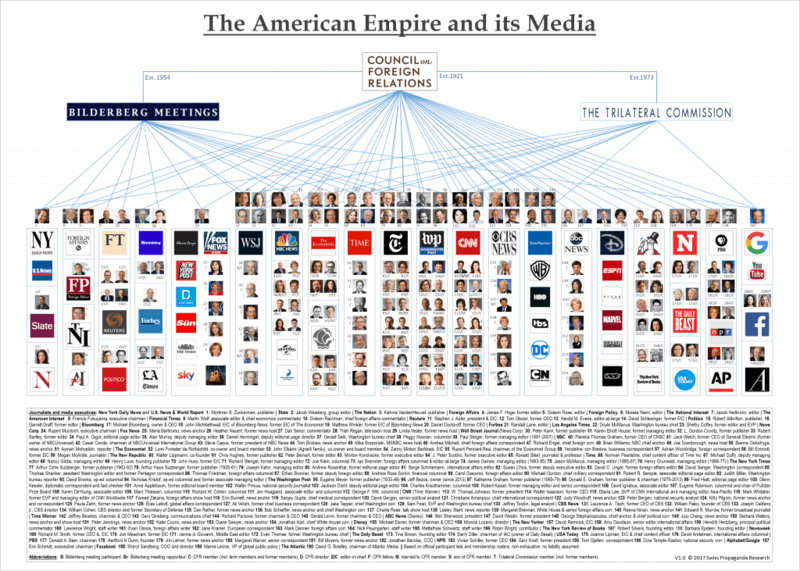 The new edition features a new “One-Pager”: Control of the Media with the 2017 infographic from Swiss Propaganda Research showing how organized crime is able to coordinate the editorial content of dozens of the world’s leading television networks, newspapers, magazines and internet properties through three front groups: The Council on Foreign Relations, The Bilderberg Group, and the Trilateral Commission. Organized Crime doesn’t just control the media… In our new “One-Pager:” Organized Crime’s Front Groups and Secret Societies, we feature the 2010 Infographic above showing how the control of the CFR, Trilateral Commission, and the Bilderberg Group extends to essentially every major power center in the federal government, non-governmental organizations, and international organizations. The chart, which you can also find on The Liberator, demonstrates that these organizations unbroken chain of control extends back through time for decades through both “Republican” and “Democratic” administrations. The rest of the chart above includes: The Federal Judiciary, The Joint Chiefs of Staff, The World Bank, Directors of the FBI, The 9-11 Commission, College and University Presidents, Goldman Sachs, Bank of America, Banker’s Trust, Citigroup, JP Morgan Chase, Religious Leaders, Union Leaders, United Nations Ambassadors, and more cabinet officials including: Health & Human Services, Housing and Urban Development, Interior, Transportation, and Treasury. Our Goal: A 2019 Update for “The Chump Administration” – Unfortunately, The Fund to Restore an Educated Electorate which produced this important visualization is now defunct. We would, ideally, like to produce an updated version showing the on-going infiltration into the current puppet administration. We would also like to expand the chart to include the other front groups and secret societies that organized crime uses to recruit, develop and organize their puppets. 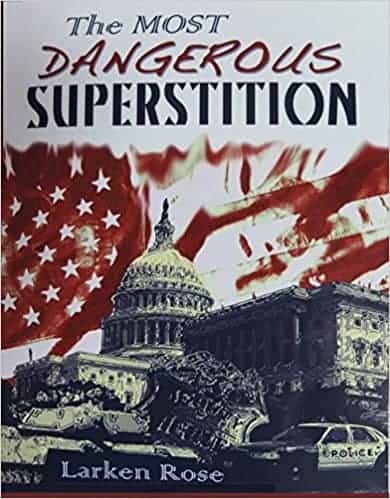 Our expanded version would include: The Pilgrim Society, Free Masons, Rhodes Scholars, Skull and Bones, and dual-citizenship Zionist Israelis that lobby and bribe congress to transfer billions every year to their apartheid country running Statism on their tax-slaves while providing “diplomatic immunity” and no-extradition when their mafia family members are caught abroad committing crimes. I also expanded the information contained in the 20+ techniques. 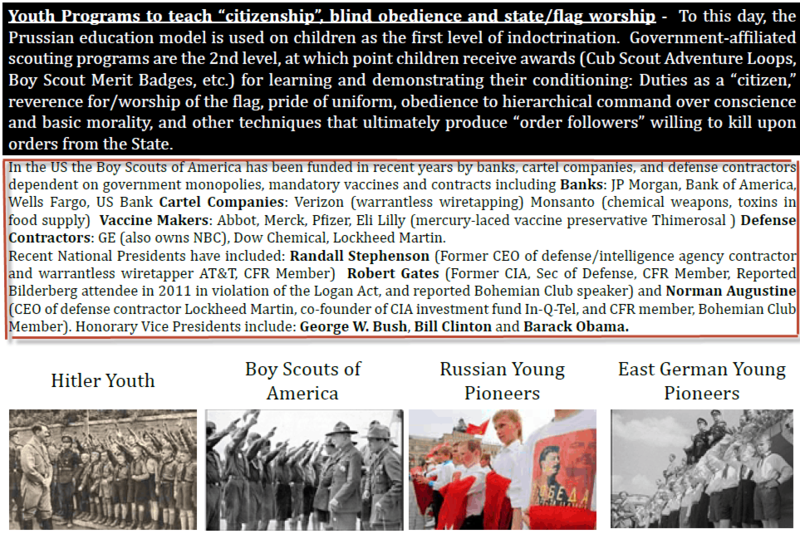 Here we provide additional information on who funds and controls the Boy Scouts and where almost every single corporate sponsor is dependent on government monopolies, mandatory vaccines, and/or defense contracts. 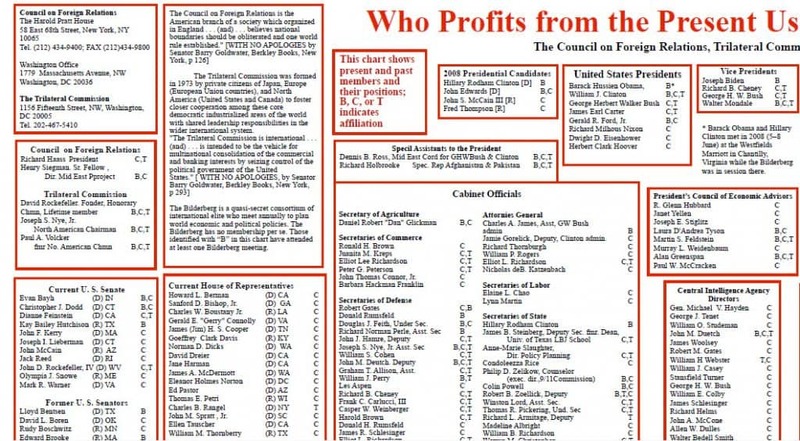 The majority of corporate sponsors are also Council of Foreign Relations corporate sponsors, and almost every single recent BSA National President is a member of the CFR with most having ties to the CIA, Bohemian Club, and/or Bilderberg. Just the kind to use unethically manipulative “cult-indoctrination” techniques and group psychology on kids! Many people don’t understand the extent that organized crime has come to control the media and the government so in our new One-Pager on The Private Federal Reserve and the Theft of Fractional Reserve Banking, we provide and overview how organized crime lobbied and bribed Congress in 1913 to create the private Federal Reserve Bank (FED). The FED is a creature of the money center banks and backstops these organized crime banks allowing them to create money out of thin air even though the process is inflationary and steals the value out of everyone else’s money. We have a visualization showing how the scheme works and another visualization showing the loss of purchasing power in the dollar since the Fed’s creation. The ability to create money out of thin air has allowed the organized crime banks to buy up, consolidate, and weaponize the media into nothing but distraction and deception. It has also allowed them to provide unlimited capital to a handful of cartel companies to buy up their competition, monopolize their own industries, and debilitate/addict the population with their weaponized food. The chart on the right is from a 2011 study called the Global Network of Control (also in The Liberator) analyzing 37 million companies that found just 147 firms, primarily banks and financial institutions, control 40% of global wealth. 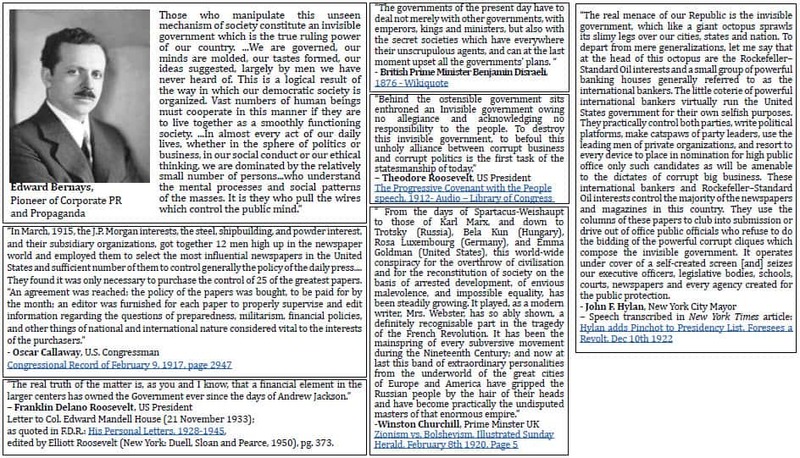 Straight from the Horse’s Mouth – I have added two pages of verified quotes from whistleblowers including three US Presidents, two British Prime Ministers, and a flat-out confession from Chase Manhattan Bankster, Standard Oil Monopolist and former head of the Council on Foreign Relations David Rockefeller himself! The biggest mistake I made with the first edition of the book was putting Nazi and Soviet symbols on the cover. My estimate is 25-35% of people thought I was promoting those ideologies instead of exposing that the US is using the exact same system. 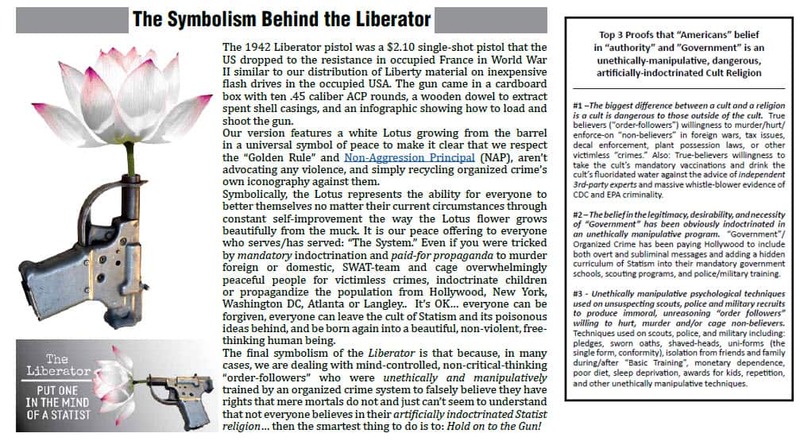 My 2nd biggest mistake was using the symbology of the 1942 Liberator pistol without explanation. I have corrected that as well and added a Lotus flower blooming from the barrel as a universal symbol of peace and non-violence. It is our peace offering to anyone who serves or has served the system. You can read the rest of the symbolism above.